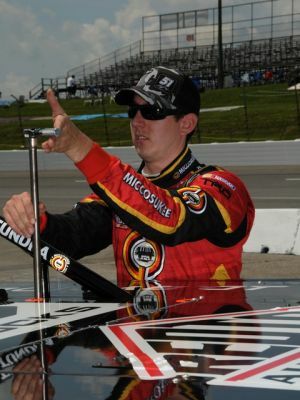 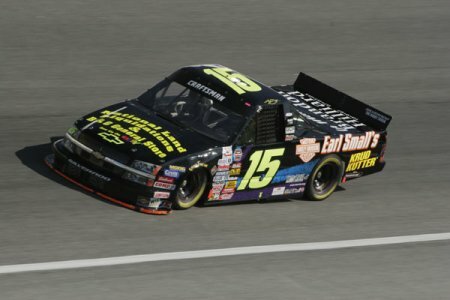 Kyle started his Nascar career in the Truck series in 2001. 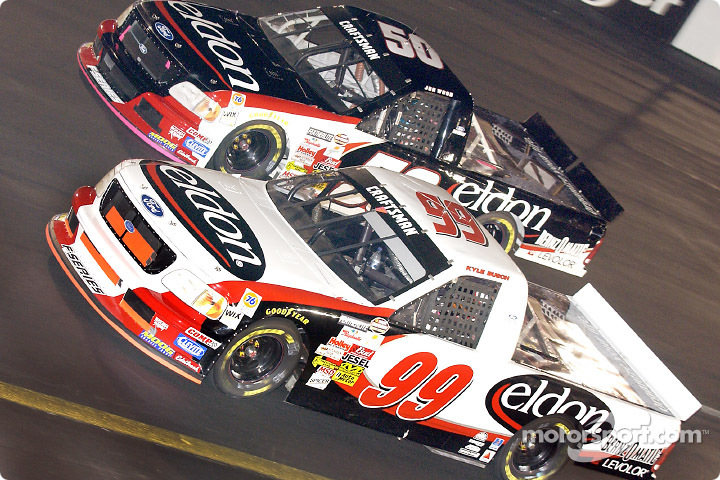 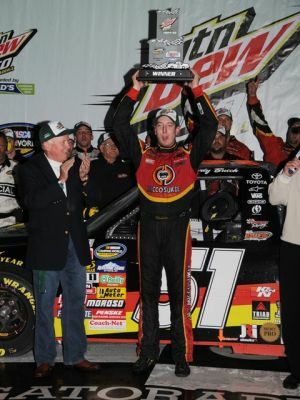 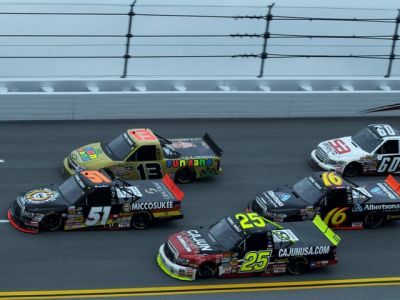 However, after only six races in the #99, Nascar created a rule that did not allow drivers under the age of 18 to race in the any of the top three series. 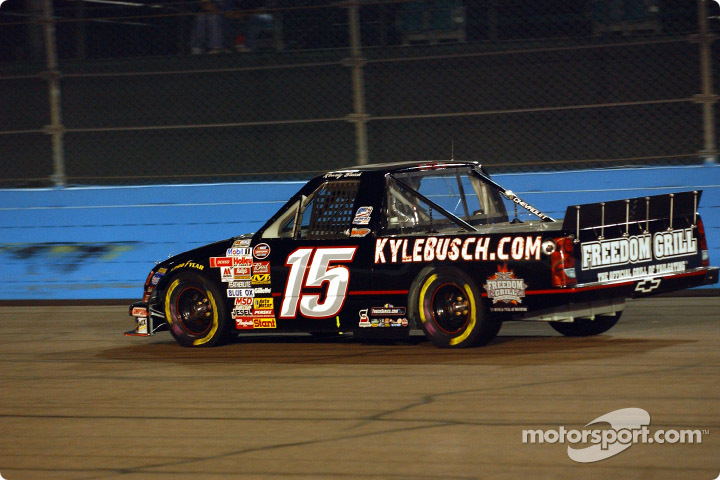 So, Kyle was without a ride, because he was not old enough. 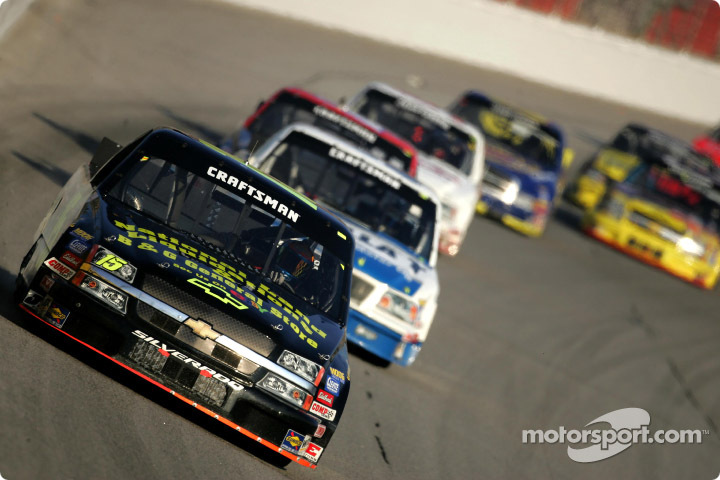 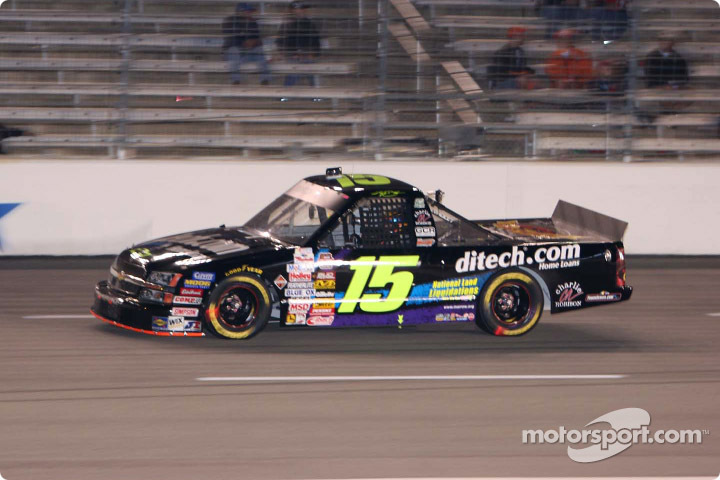 Kyle raced this truck at IRP, Cicero, Richmond, South Boston, Texas, and Las Vegas. 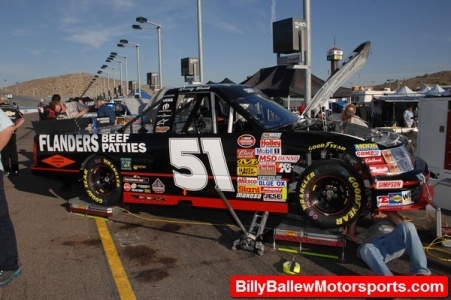 Kyle raced this truck at IRP in a one race deal. 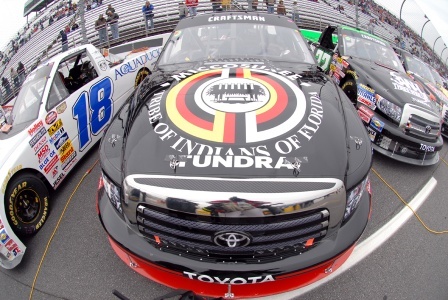 Click here to go to the custom builders website. 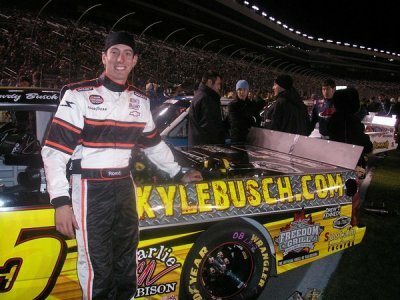 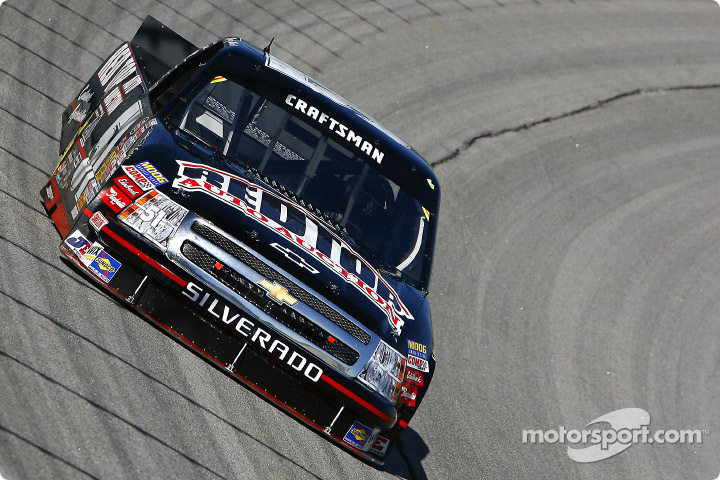 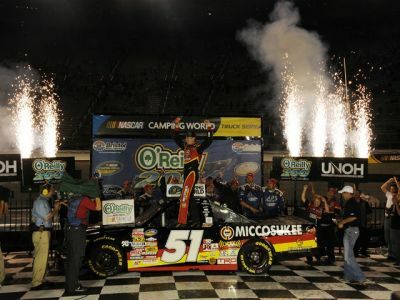 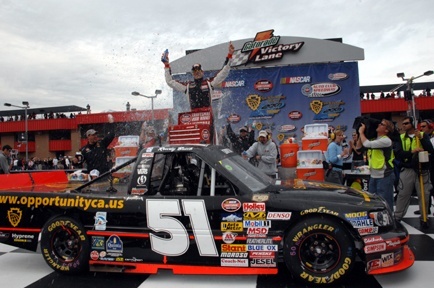 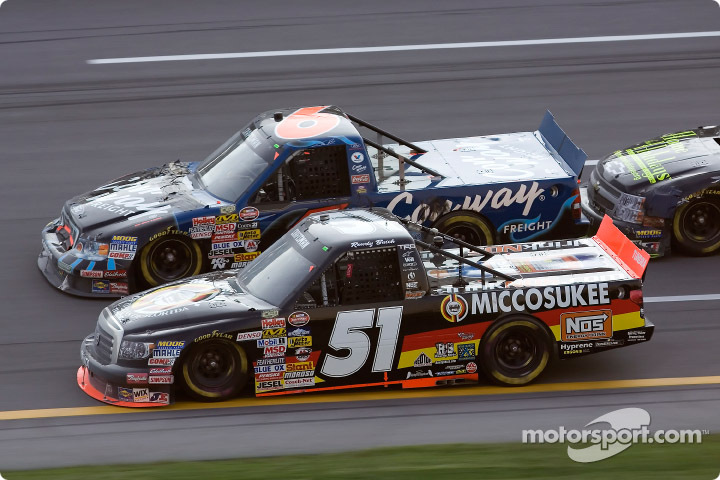 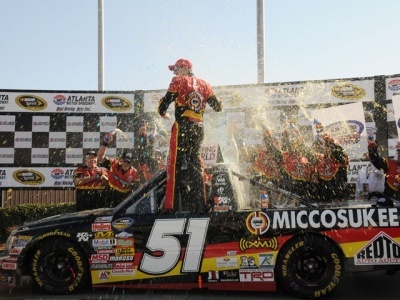 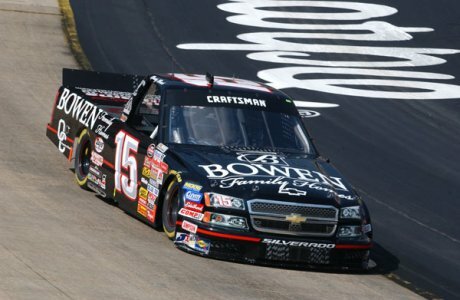 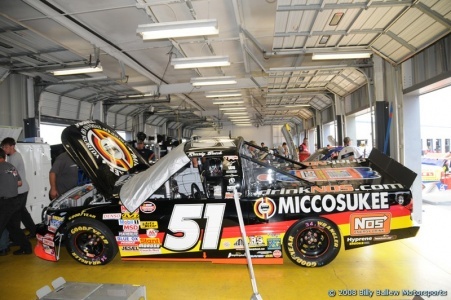 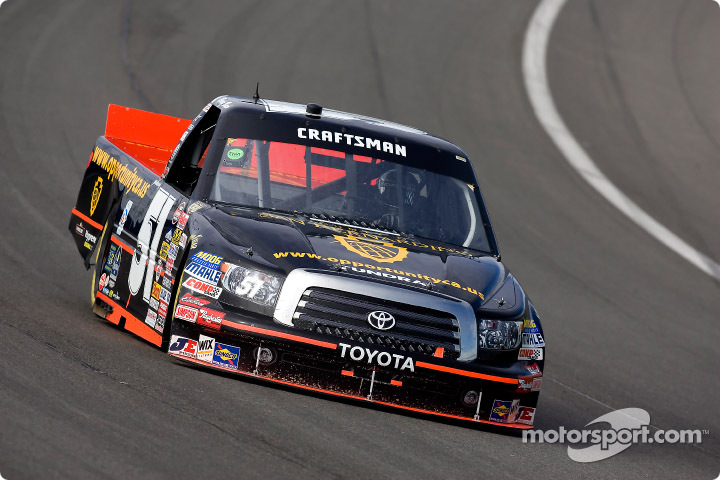 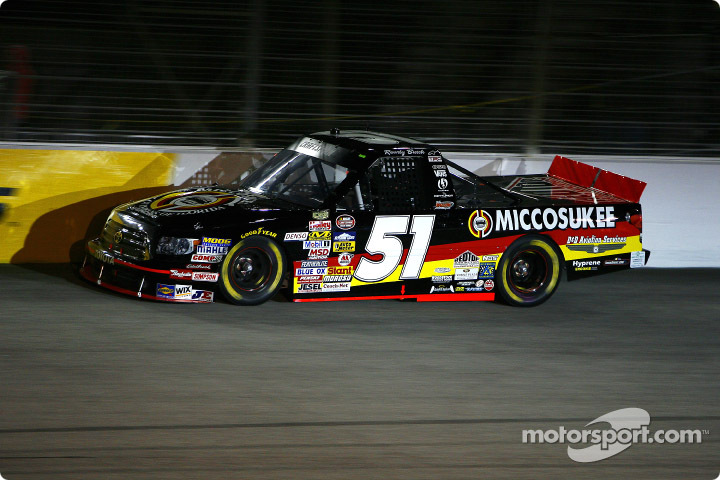 Kyle raced this truck at Charlotte, Dover, Michigan, Bristol, Richmond, Loudon, and Martinsville. 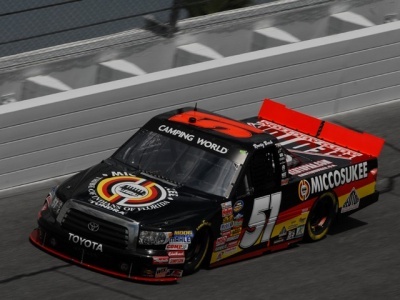 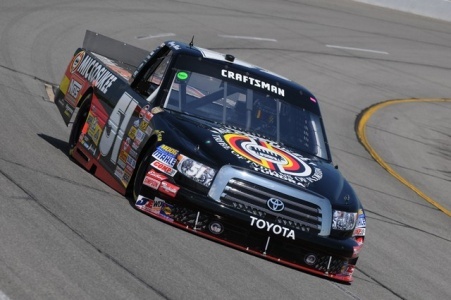 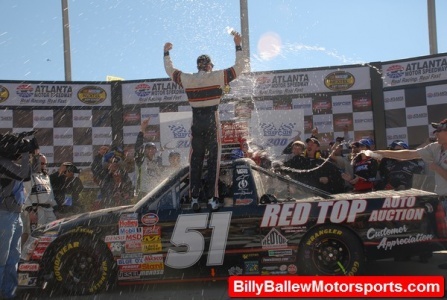 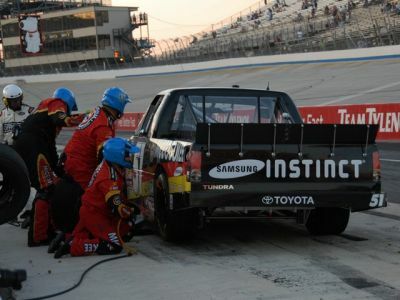 This truck was raced at Atlanta. 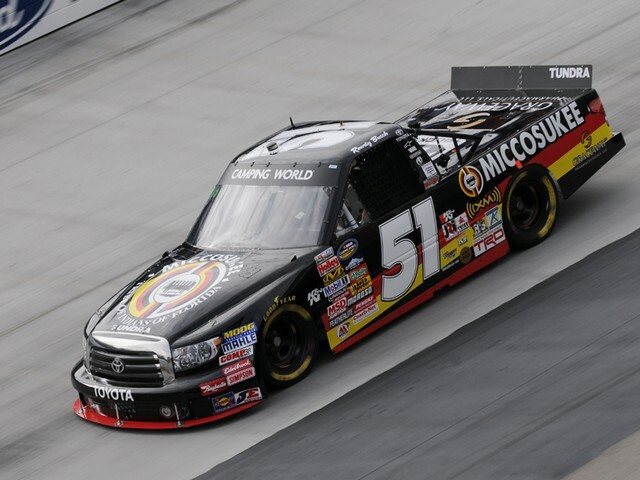 (This truck had the National Land Liquidations logo on the side). 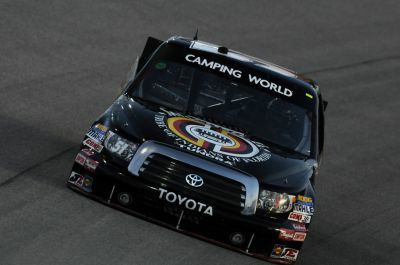 This truck was raced at Fort Worth, Texas. 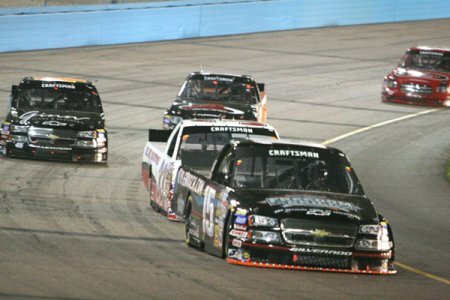 This truck was raced at Phoenix, and Homestead. 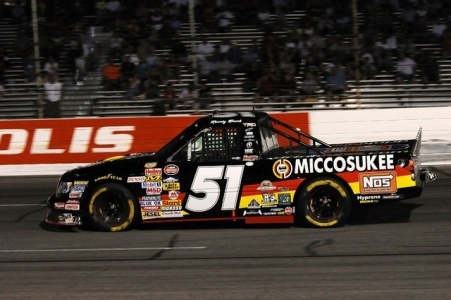 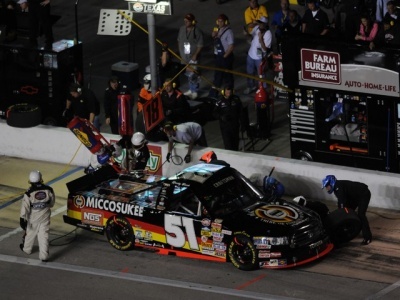 (This truck has the #51 on it). 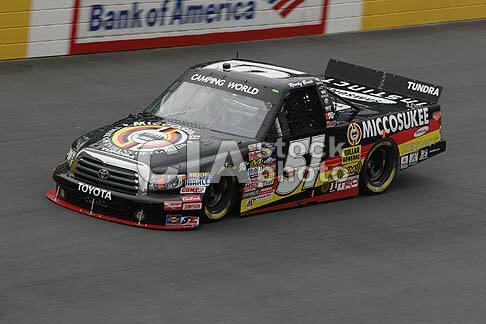 This truck was raced at Charlotte, and Dover. 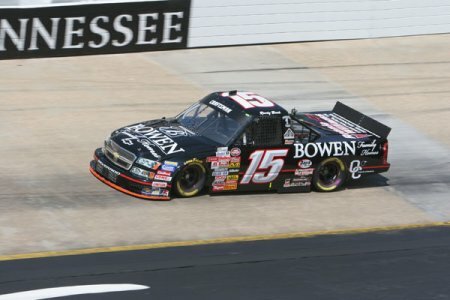 This truck was raced at Bristol. 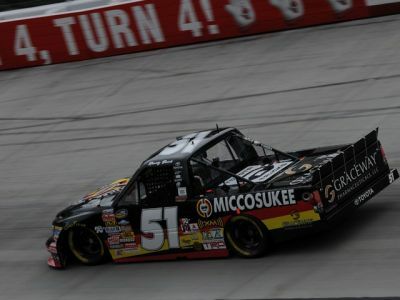 This truck was raced at Loudon. 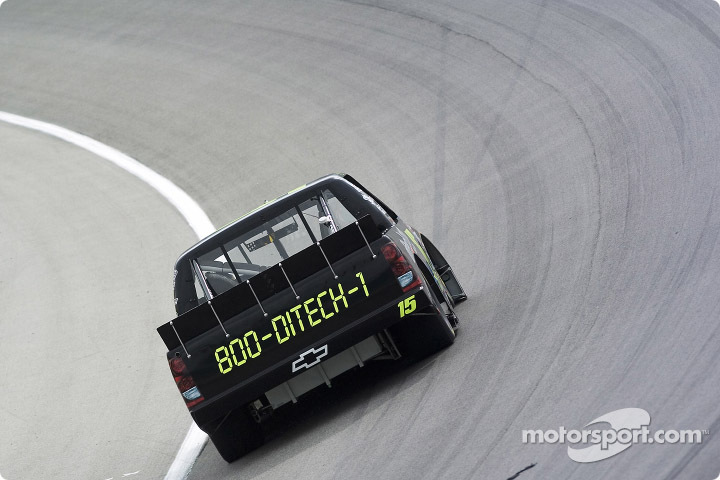 (This picture was taken during pratice, and only had the Team Davis logo on the side, this is what the side of the truck looked like during the race). 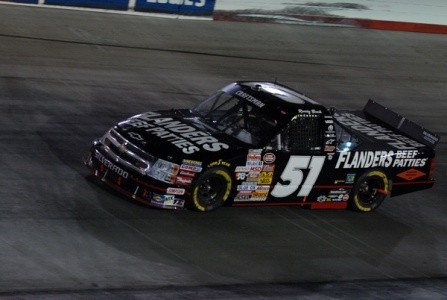 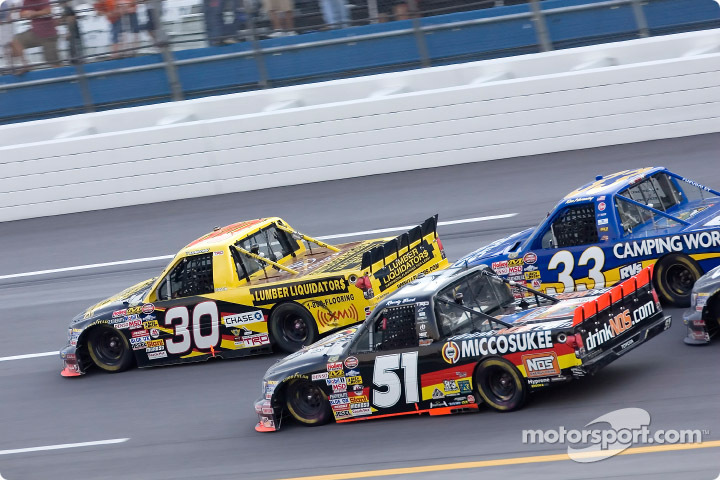 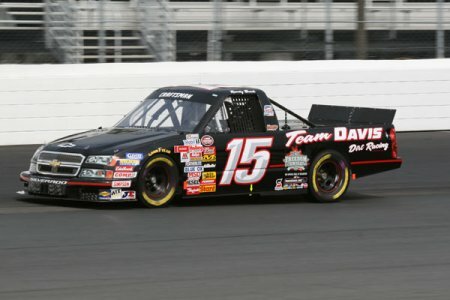 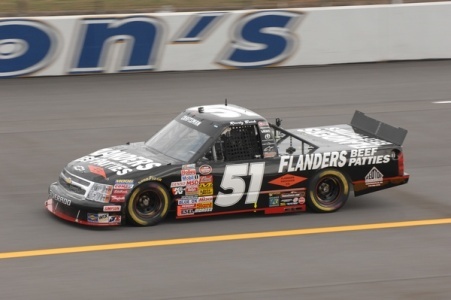 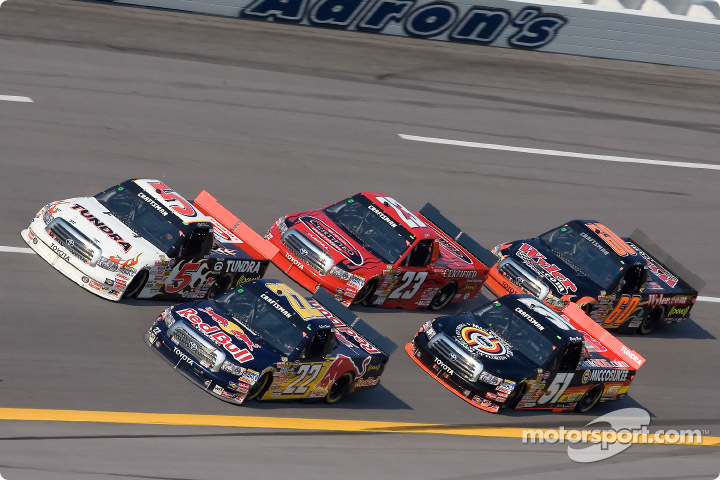 (This picture shows the Team Davis logo on the side during the raced version of truck). 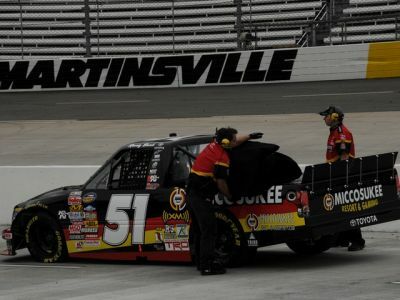 This truck was raced at Martinsville. 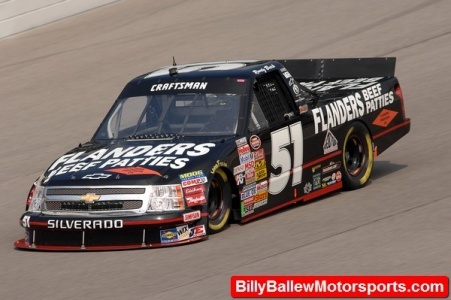 This truck was raced at Texas. 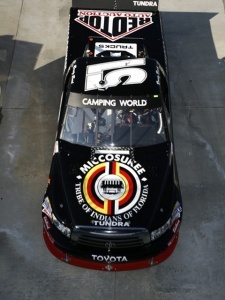 (This paint scheme has the KyleBusch.com logo in white, instead of yellow). 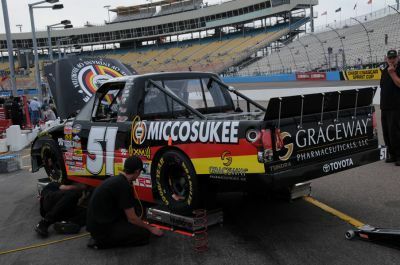 This truck was raced at Phoenix. 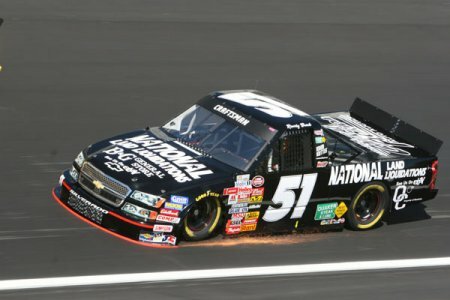 This truck was raced at Charlotte. 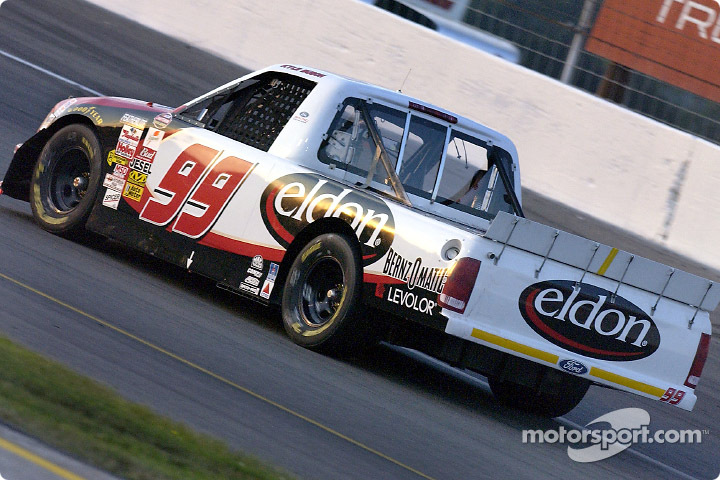 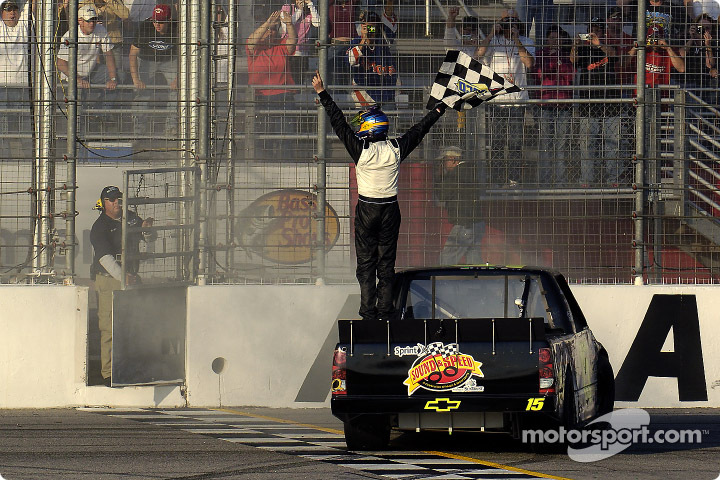 This truck was raced at Dover, and Michigan. 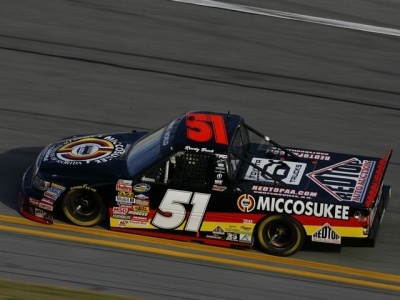 (This truck has the orange diamond logo on the side of the truck). 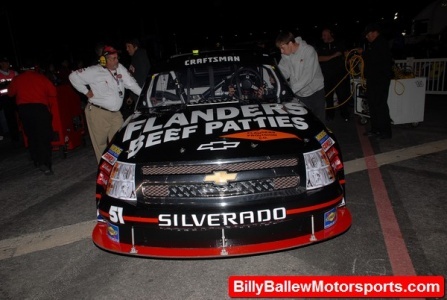 If you know what the orange logo says then please e-mail me! 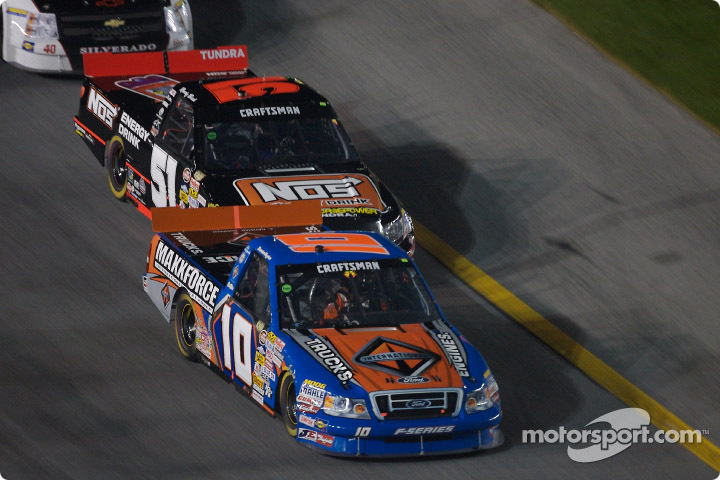 (This truck has the orange diamond logo on the hood and side of the truck). 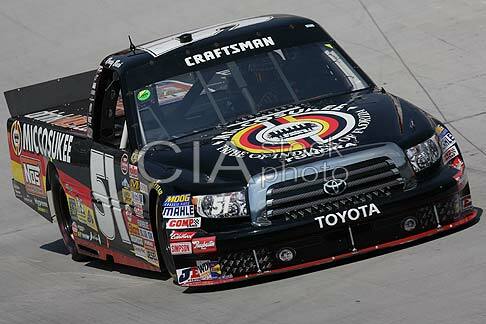 This truck was raced at Loudon, and Martinsville. 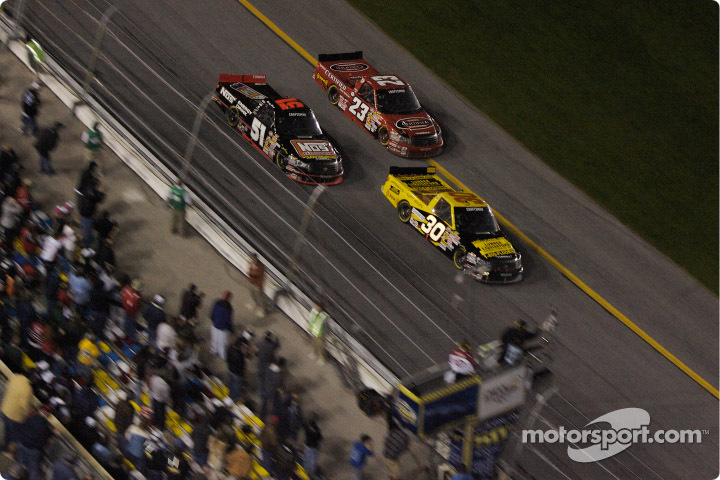 (This truck has the orange diamond logo on the hood and side of the truck and the Red Top logo on the side of the truck as well). 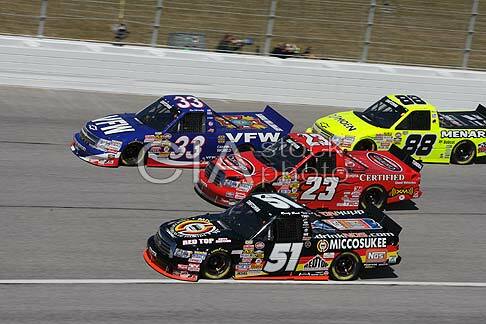 This truck was raced at Talladega. 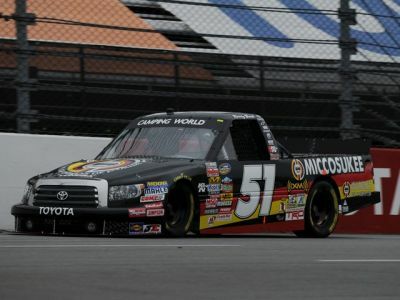 (This truck has the orange diamond logo on the hood and side of the truck and some new small logos on the side). 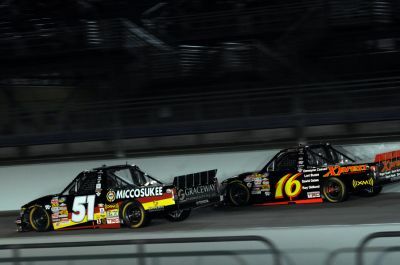 This truck was raced at Homestead. 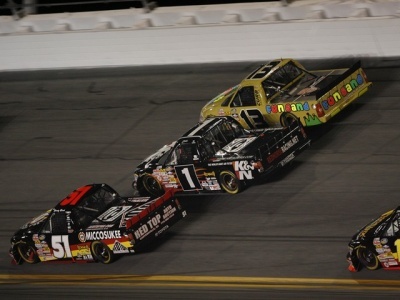 This truck was raced at Daytona. 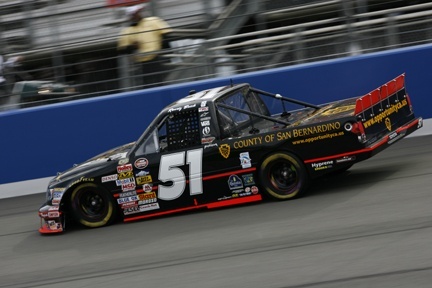 This truck was raced at the first Fontana race. 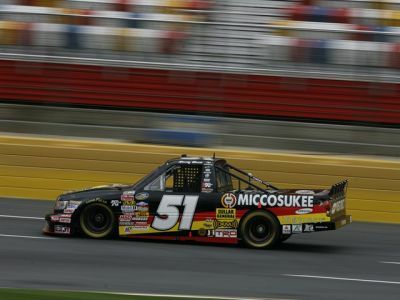 This truck was raced at the first Atlanta race. 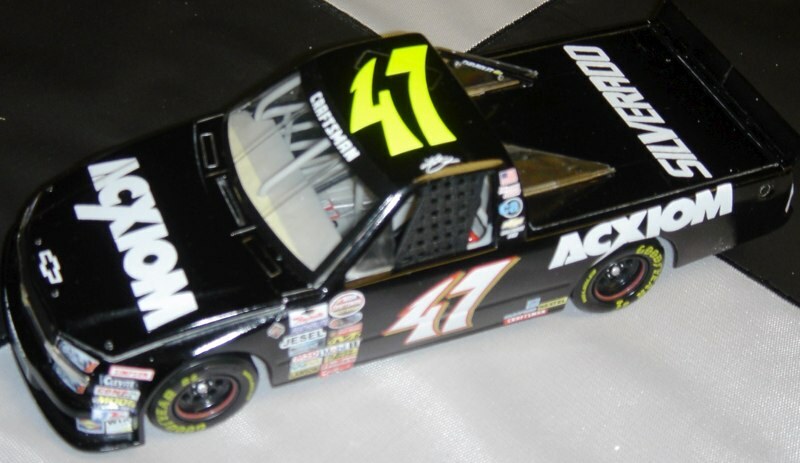 This truck was raced at the first Martinsville, Charlotte and the Dover race. 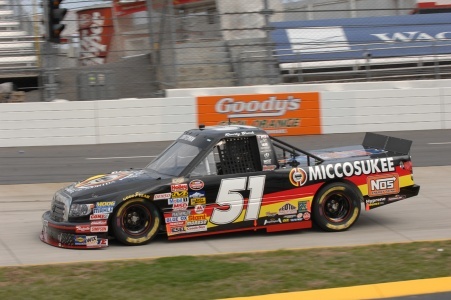 This truck is different because it has many new small sponsors on the truck. 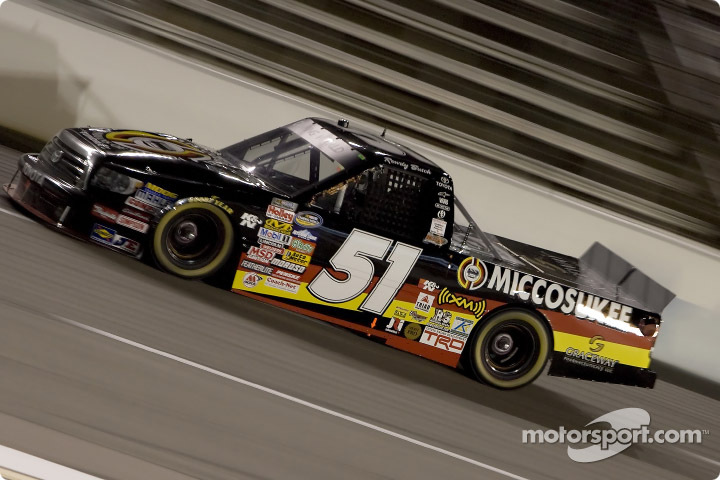 This truck was raced at the first Texas race, and at Michigan. 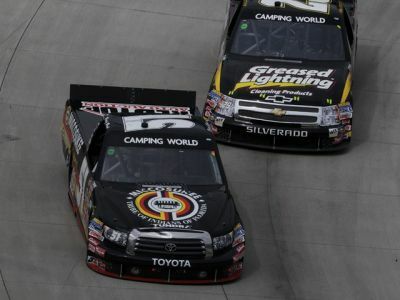 This truck is different because it has a few different sponsors on the truck. 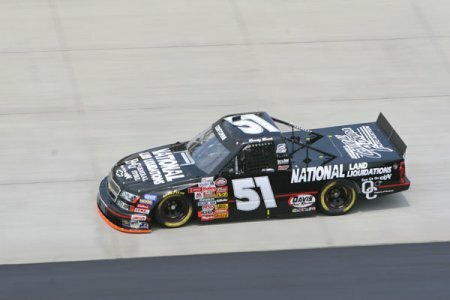 This truck was raced at the Kentucky race. 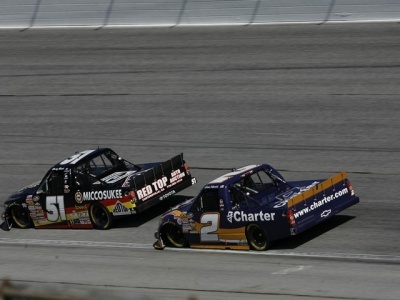 This truck was raced at IRP. 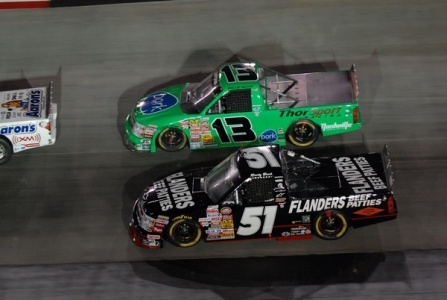 This truck was raced at Bristol, and Loudon and the second Martinsville race. 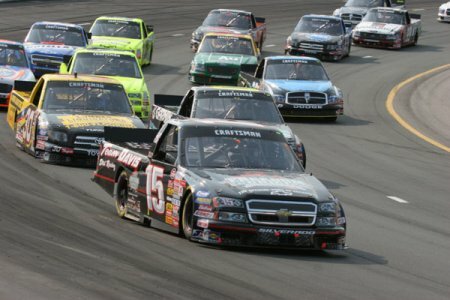 A view of Kyle racing Jimmie Johnson at Bristol. 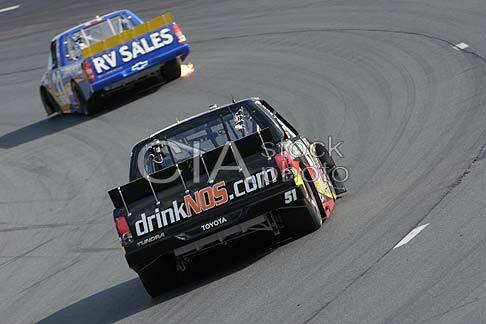 This truck has the red spoiler. 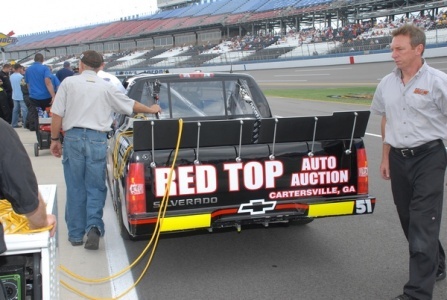 This truck has big Red Top logo on the side. 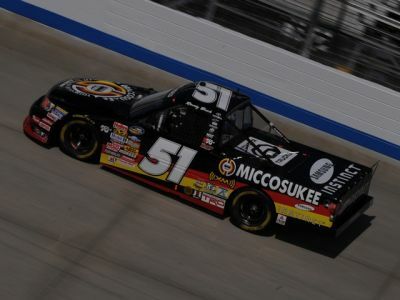 This truck was raced at the second Atlanta race. 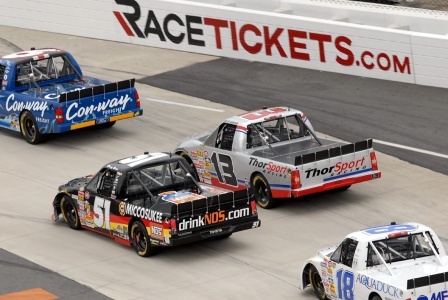 This truck has some of the small logos moved around on it. 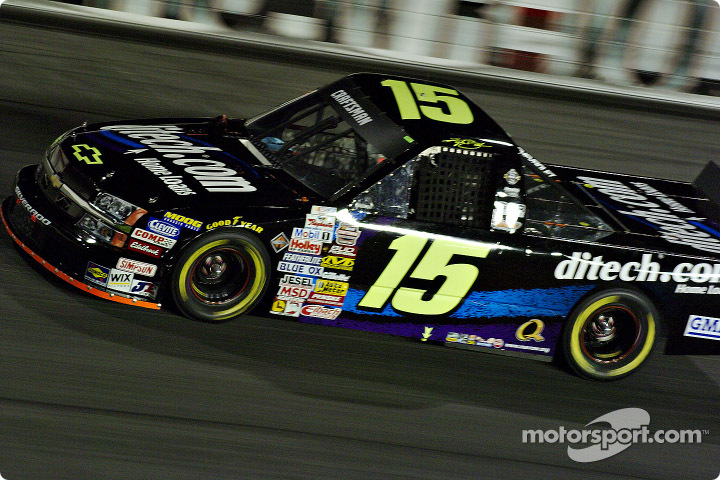 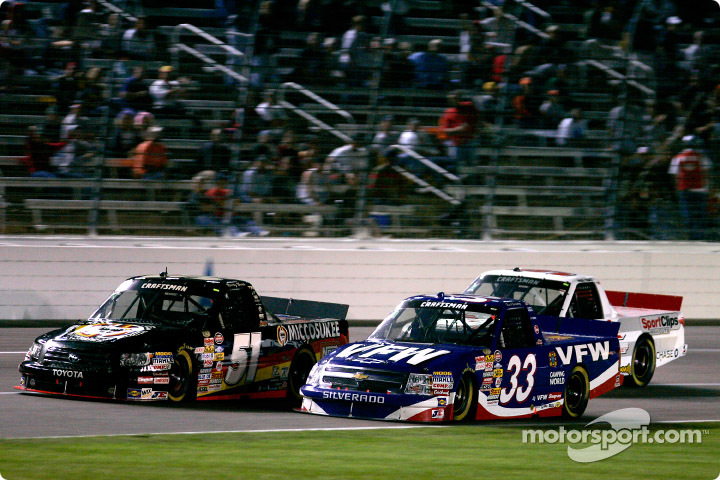 This truck was raced at the second Texas race, Phoenix, and at Homestead. 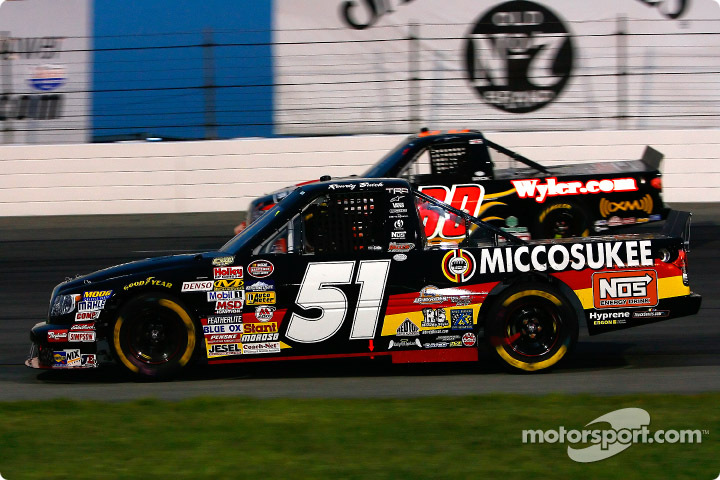 This truck has the red #51 logo on the top of the truck. 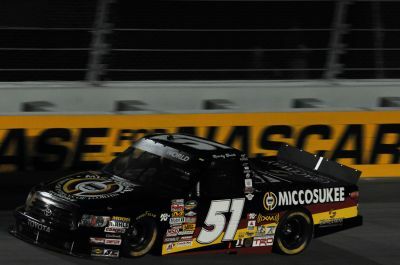 This truck has the white #51 logo on the top of the truck. 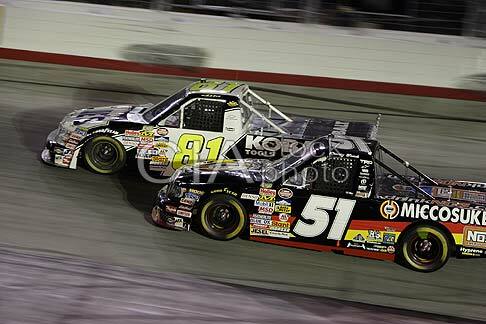 This truck was raced at Fontana and Atlanta. 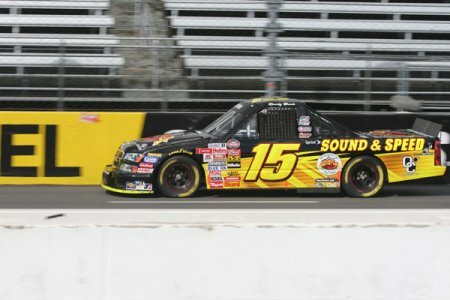 This truck has a few new small sponsors on it such as Dollar General. 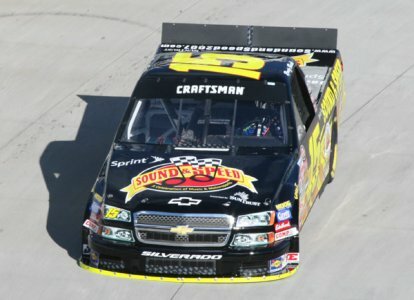 This truck does not have the Dollar General logo on the side any more. 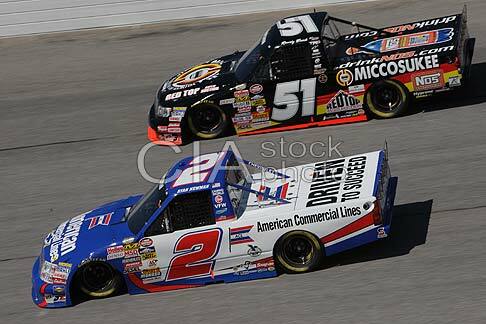 This truck was raced at Dover and Michigan. 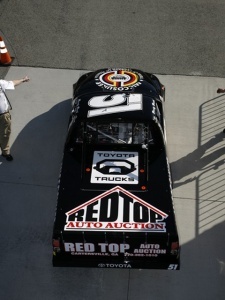 This truck has the Red Top logo on the back of the truck in a smaller format then the other designs. 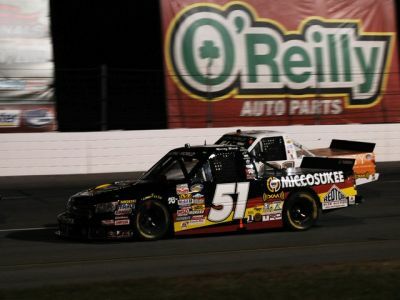 This truck was raced at ORP. 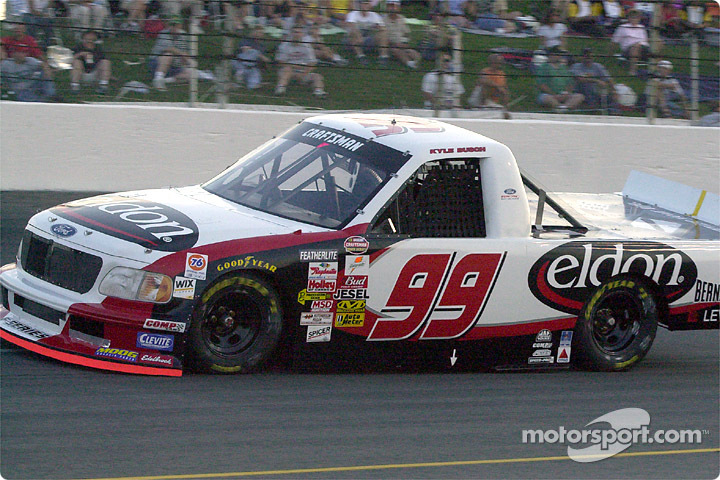 This truck was raced at Bristol, Chicago, and Loudon. 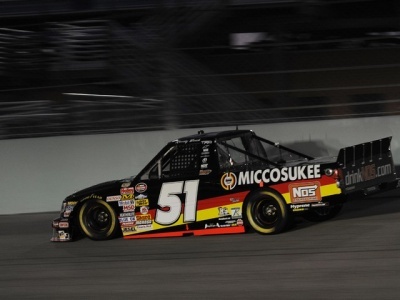 This truck has the red #51 logo. 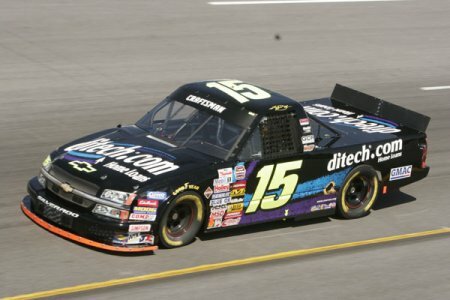 Ths truck was raced at Talladega. 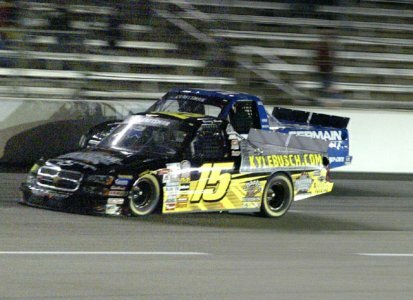 This truck was raced at Texas and Phoenix. 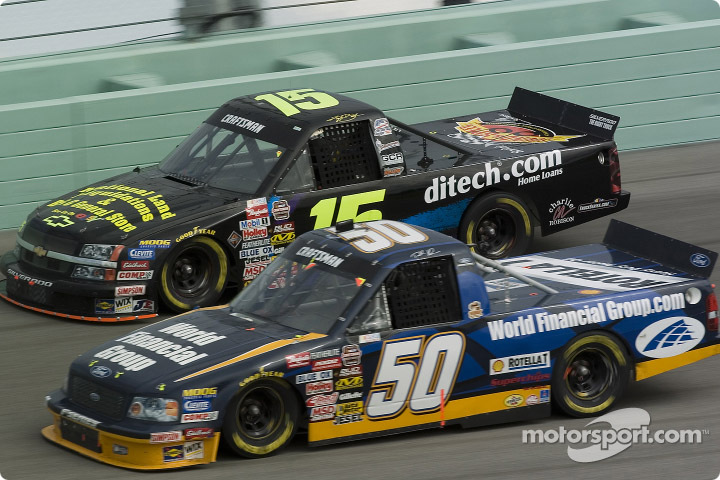 This truck was raced at Homestead, Miami.